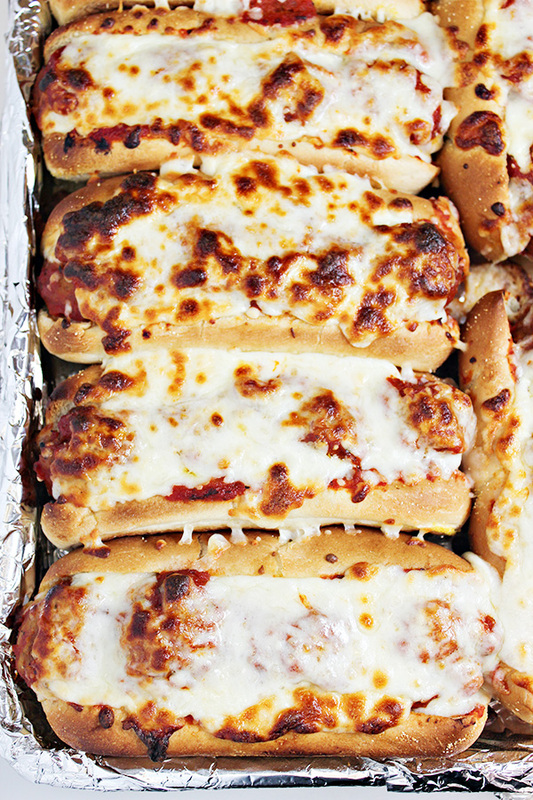 This oven baked meatball sandwich recipe is a perfect easy dinner idea for busy days. Also great for large groups, game day, or as an on-the-go meal. 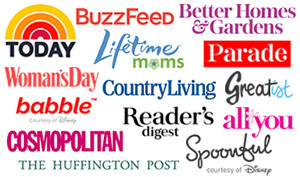 It’s one of our most popular posts – pinned over 1 million times! 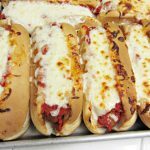 The ingredients are simple — you will need meatballs, pasta sauce, mozzarella cheese, and sandwich rolls. 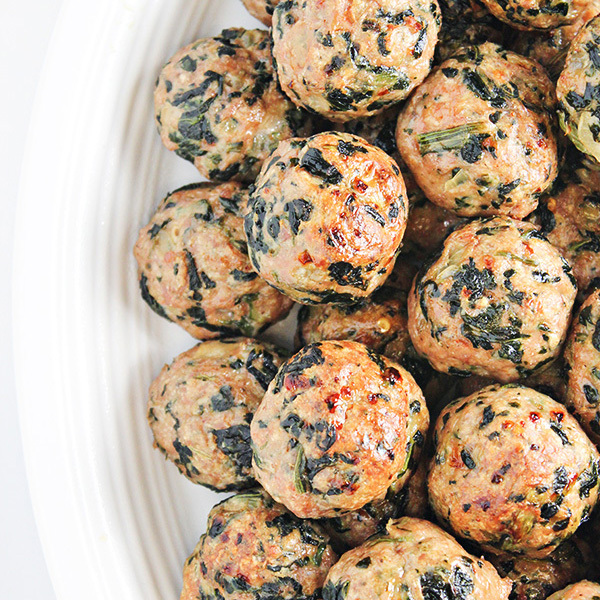 Many times I like to make my popular Baked Turkey Meatballs with Spinach for our Meatball Sandwiches, but I also make them with frozen, pre-made meatballs from the freezer section of my grocery store. I do that A LOT. So, if you want easy, go with the frozen ones. If you have more time, go for homemade meatballs. Get your rolls ready. You want rolls that aren’t cut all the way through, they should be connected one side so that they will cradle the ingredients. I usually buy rolls that are already cut like this, or rolls that aren’t cut at all and I cut them myself. Place your meatballs in a big pot and cover them with your pasta sauce. If you are using frozen meatballs, place them frozen into the pot — no need to cook them in advance. If you are using homemade ones, put them into the pot after cooking them. Cover your meatballs with sauce (enough that all the meatballs are covered). You can use homemade pasta sauce or jarred sauce. Gently fold the meatballs with the sauce, this isn’t the time for vigorous stirring or you’ll destroy the meatballs. Heat them on low-medium, stirring occasionally, until the meatballs are heated thoroughly. Spray a baking sheet with cooking spray. Take each roll and fill with as many meatballs as you can fit. I usually do this with a slotted spoon and I avoid scooping the sauce as much as possible. I can generally get 4-5 meatballs into one sandwich roll, but this will vary depending on the size of roll you use. Top the meatballs with a bit of pasta sauce from your pot. Place your meatball sandwiches, as you fill them, directly on the baking sheet. Now, top each sandwich with shredded mozzarella cheese. My favorite part…CHEESE. Bake in an oven at 400 degrees until cheese is melted, hot, and bubbly! Serve with a salad or chips for a super easy meal. Want another easy, cheesy sandwich recipe? 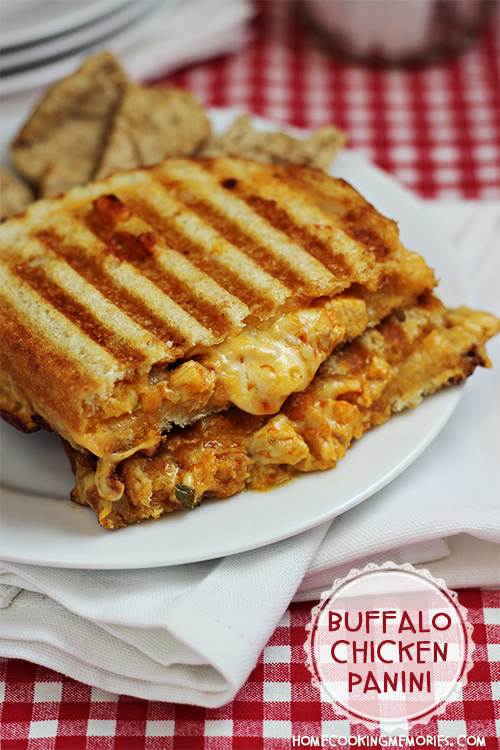 Check out our Buffalo Chicken Panini Recipe! With one piece of foil, spray the top of the foil with cooking spray. 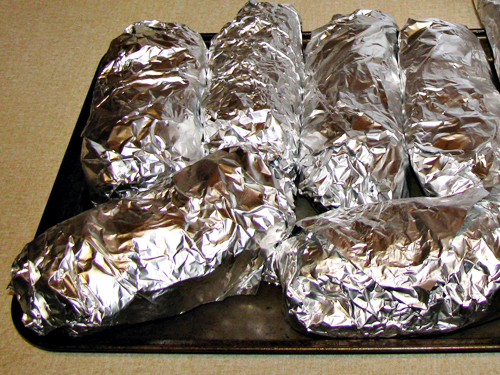 Place a sandwich roll in the middle and on top of the cooking sprayed side of the foil. Fill with meatballs and pasta sauce. Top with cheese. Fold one large corner of the foil completely over the top of the sandwich. Fold the left and the right sides of the foil over the sandwich. Roll the sandwich towards the top part of the foil so the entire sandwich is secured in the foil. Bake in a 400 degree F oven for approximately 10-15 minutes, or until cheese is completely melted. So tried this for a group of 30 people – various ages (K-10 as well as teachers and some parent volunteers) as it was for a play rehearsal that was going late. Never sure what amount is good for each person in that situation – Used Parisian baguettes for the buns – cooked as per instruction (had to half them to fit all of them in the oven), baked them in foil but lined that with parchment paper – then completely wrapped them for delivery (no oven on site). Then, to serve just unwrapped and cut to size of sandwich the person wanted – so easy!!! veggie trays and chips as sides. I’m definitely going to try this! Does anyone have a good (beef) meatball recipe? If you plan on making this recipe, make sure you cook the meatballs first. I followed the directions and the meatballs came out still raw. Yes, this recipe is for cooked meatballs, which is how it’s stated in the recipe. I love this! Super easy and looks amazing. I think we will give it a try tonight :):) thanks! 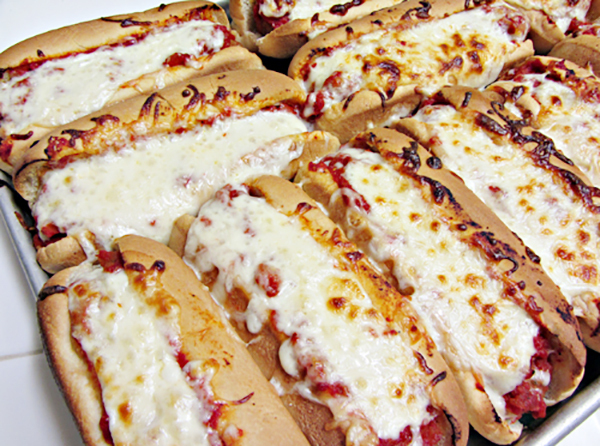 In The Process Of Making These Right Now..But I Made My Own Meatballs..I Know They Are Going To Come Out Great :). bbq and see how that turns out first. We’re trying this tonight, thinking ahead to summer though, has anyone ever tried using a bbq instead of the oven? Hi Angus! I’ve never made them on the grill, but that’s a great idea. Made these tonight were great, my husband ate like 4!! He loved them!! Big hit and super easy! Love it!! Thanks Candace! Glad you like them. This is a perfect supper idea to add to meal planning! Thanks for sharing! looks so good! I have some leftover homemade cocktail meatballs in the freezer and this is my new plan for them. Loved them!! They are so easy to make. My family loved them. Thanks for sharing. OMG. I made these tonight for my family. It was a hit. Everyone loved them. They are so easy to make. Thanks for sharing. I have a bunch of family coming next week. This would be a great idea for lunch. Thanks for sharing at Inspire Us Thursday. What a great recipe for a crowd, we will sure be trying this one! Thank you so much for sharing with Full Plate Thursday. Hope you are having a great summer weekend and come back to see me real soon! Gah!! This looks delicious!! I am going to give this a shot. I am going to use four cheese for this. My family doesn’t care for Mozz. Cheese so we always substitute other cheeses for it. These were absolutely delicious! I managed to severely burn the bottoms of my meatballs, so next time I’m going to lower the temperature and increase the bake time. Either way, I cut off the burnt part and my hubby and I love this recipe! Thank you, Leann! I’m so glad you liked them! This was great. Made this for my wife and she loved it. 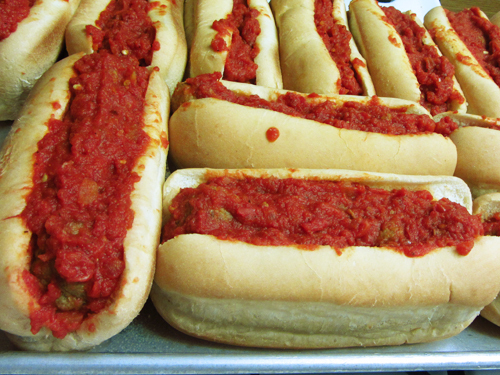 Your meatball sandwiches sound wonderful. I love the meatball recipe you used with turkey and spinach. That would give such a nice flavour. Thank you for sharing this recipe with The Gallery of Favorites. 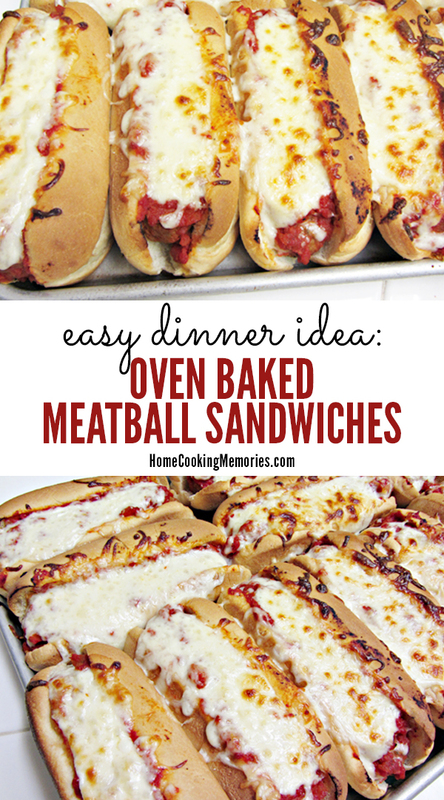 Your meatball sandwiches are going to be a huge hit with my family! I’ve pinned this recipe to my dinner board and will be adding it to my menu soon. Visiting from Gallery of Favorites. 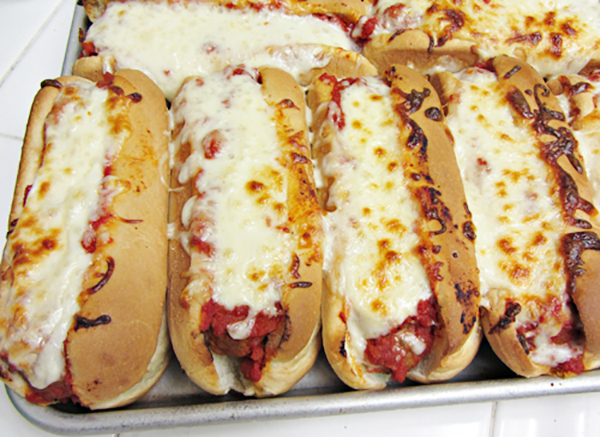 This is a great way to prepare meatball sandwiches for a crowd. That browned cheesy topping is my favorite part too. These look delicious! My husband will love them, I can tell already! Were you able to freeze with success? I’m one to make lots and then freeze for quick dinners. I still haven’t tried freezing them, but am planning on making them again soon and still have plans on testing them as a freezer meal. When I make them, we always have extras, but my husband and kids usually end up eating them for lunch the couple days after. I think this should be easy enough to do with just making the meatballs (or purchasing them) and putting together right before serving. I don’t see much reason to freeze the whole thing beforehand. The sandwich (I would think) will taste better and fresher with fresh bread. Just my opinion! Does the bread get hard when you bake it in the oven or does it stay soft? Thanks in advance! They are still somewhat soft after baking, not hard. The bottom (part sitting on the baking sheet) can get a bit crispy, depending on how long you leave them in the oven. Overall, they do stay softer if you wrap in foil before baking. I made the turkey meatballs tonight and they were soooo good! We were skeptical because we have tried using turkey for burgers and tacos and never liked the way it tasted. These were DELICIOUS! I would definitly recommend the turkey meatball recipe. We froze them and plan on making the meatball sandwiches this week. My 2 year old picky eater even ate them! Thanks so much! Made these tonight and they were WONDERFUL! I followed the entire recipe, making the meatballs instead of buying the frozen ones and they were delicious! Plus, they were decently healthy with the turkey and spinach 🙂 My husband said it was one of the best things i’ve made in a while and there were so many meatballs left over, I threw them in the freezer for a quick lunch or dinner next week!! Thanks! These look yummy ans easy! I would like to make them for a ladies lunch. What would you suggest serving with them? Thanks. Thanks Lisa! 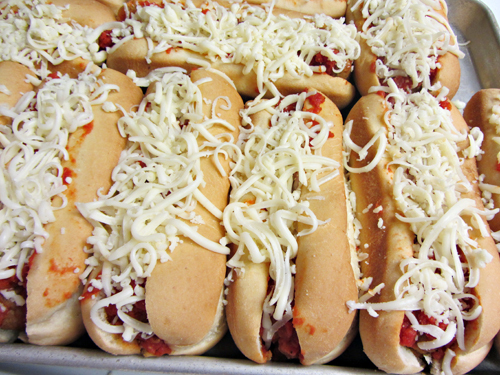 We usually pair our meatball sandwiches with a salad and/or fresh fruit. Sometimes with potato chips. The meatball sandwiches are fairly hearty, so I prefer lighter with side items. Tried these as my soon will eat nothing but pizza type things, the bottoms were so mushy? Where did I go wrong? Hi Heather! I’m not exactly sure about what could have went wrong, this isn’t a problem I’ve experienced. Some thoughts are that maybe the rolls weren’t thick enough and/or the sauce was thin, or maybe too much sauce? It’s hard to say. I use a fairly thick sandwich roll, my sauce is usually a thicker consistency, and when I scoop the meatballs, I make sure to not scoop much extra sauce with them…but top them with extra sauce. If you bake the open rolls for a few minutes before you place in your ingredients, it will help. How long would u say it takes to cook the meatballs? I’ve never actually timed it, but I would say that it takes about 15 minutes to heat frozen meatballs in pasta sauce. This would depend though on how many meatballs are you are heating and how large they are. Hope that helps! Those look absolutely amazing!! I think I know what we are having this weekend while watching football. Thanks for sharing. Amazing idea and delicious sandwiches!! They were an instant hit on RecipeNewZ and as such are now featured on our Facebook page: http://www.facebook.com/RecipeNewZ. Congrats! These are so amazing! Very fast and easy to make, and my kids love them! Oh wow that looks delicious!! We are from Louisiana and have always eaten Meatball subs but your look great!! Will try tonight!! Do u think I could freeze these? Hi Stacy, I haven’t ever froze these, but I am thinking that they might not do that well being frozen, that the bread might not hold up that well. I’m just not sure. It’s a great question — you’ve got me wondering so I think the next time I will make them, I will try it out and see how it goes. if you freeze them i would make extra meatballs and freeze after cook and cooled down or put them in sauce not on sub rolls . i’m sure you can freeze the meatballs in the red sauce. It wouldnt take that long to defrost, put on the bun, add some cheese, and pop in the oven. YUM – sadly our Mozzarella is pathetic here.. will have to attempt to make my own. LOL…thanks Abbie! That would be fun to cook for Vegas Bloggers. Maybe someday we’ll have a potluck?